For my love, with chocolate. Yes, my favorite always and ever is chocolate (dark). 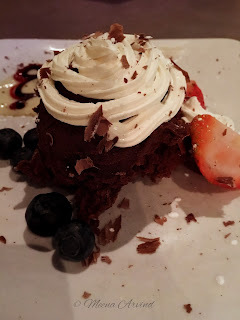 This is triple chocolate decadent and it was simply yum! What more to say 'amore' than chocolate?